What do we know about diversity and inclusion and why is it so important to our organizations success? We know that Diversity is about people, the way we differ, and our uniqueness. Inclusion is about creating an atmosphere of involvement, respect and connections that enable people to be successful in their environment. Diversity without inclusivity is limited and leads to conflict--because Inclusivity is the heart of Diversity! Organizations that value both Diversity and Inclusion will create a business advantage. 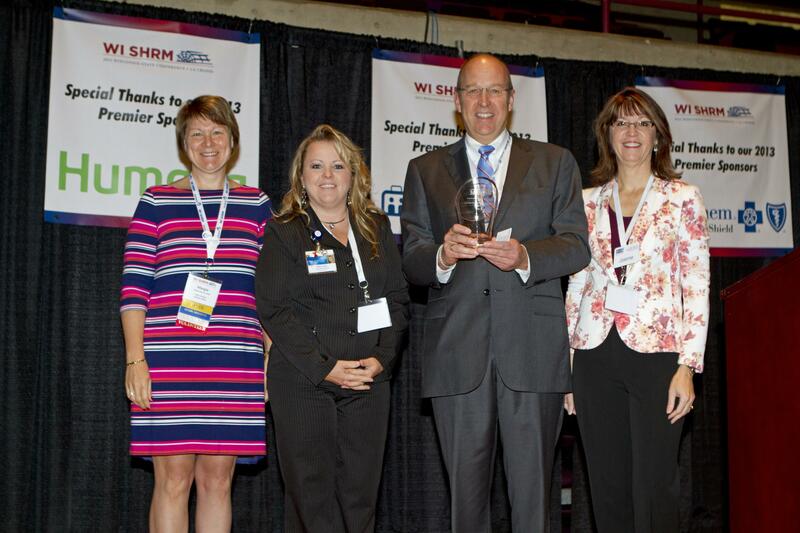 This morning, WI SHRM is proud to recognize an organization that embraces diversity and inclusion at the core of their business values. 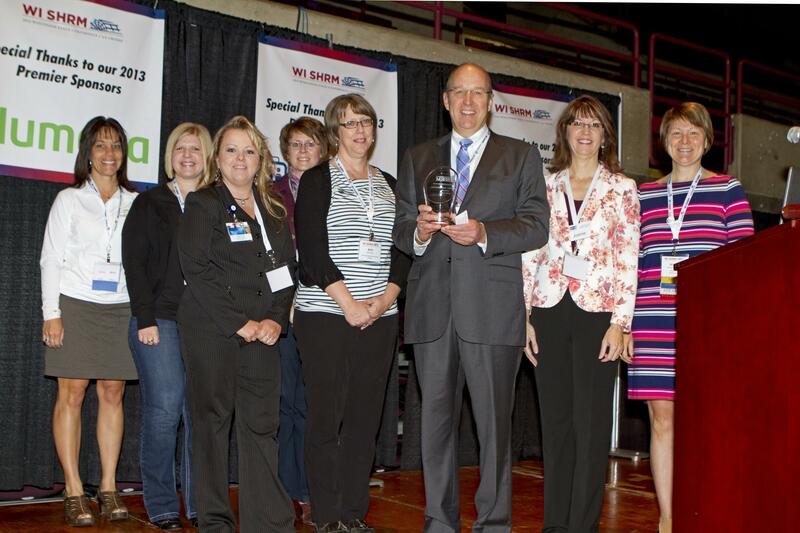 The 2013 Wisconsin SHRM Diversity and Inclusion Award is presented to -- Mayo Clinic Health System – Franciscan Healthcare. At Mayo Clinic Health Systems – respect and compassion are the heart of their foundational values. All employees participate during their orientation in a learning opportunity titled Mutual Respect and Diversity. The goal is to bring awareness to their employees personal biases so that they learn how to demonstrate respect for all people. Monthly, HR and individuals from other departments focus on what can they do as an organization to make both their customers and employees feel more welcomed and cared for. As a result, the team developed a proposal to implement a more formal approach to Diversity and Inclusion which is fully supported by the Management Committee. Mayo Clinic Health System serves as a role model for others by being the founding partner of the La Crosse Medical Health Science Consortium. The organization was formed to meet the current and future needs of the area. A Committee was formed to ensure that health care providers are providing culturally competent care. The committee created educational modules that teach health care works cultural norms around health care for some of the area’s largest diverse populations. They believe in the practice a Servant-Leadership and participate in a community wide Servant Leadership learning community. Leaders are educated and evaluated on their practice of Servant Leadership. They co-sponsor two free clinics serving the uninsured, and the homeless, often living with chronic diseases including psychiatric conditions, and some that have been released from prison. They’ve created a community garden which encourages participants to donate a portion of their yield to the local food pantry and they created another community garden to meet the needs of the local Hmong population. Through their innovation initiatives, they conducted a needs assessment to understand the poor compliance of Hmong patients calling in their blood sugar levels and therefore have implemented a Hmong Diabetic program. They developed and engaged their Top Notch Interpreter and translation services program to help serve these patients. They have shown awareness and commitment toward diversity and inclusion by ensuring that all employees understand the “why” behind the expectations, which is important as we heard Eric Chester state at yesterday morning’s keynote. Currently they offer two courses: “Mutual Respect and Diversity” and “Collaboration Across the Generations”. In addition, they have created a department titled, “Mission Effectiveness”, where the mission/vision/values are at the forefront of all decision making. Mayo Clinic Health System – Franciscan Healthcare’s management has built the mission/vision and values of the organization based on respecting the dignity of every human being. It leadership encourages and supports community partnerships and its leadership serves on numerous community boards of which 26 focuses on diversity.